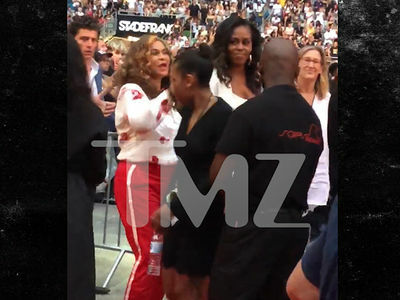 Barack and Michelle At Bey and Jay Concert We Got Moves!!! Barack and Michelle Obama were feelin' it Saturday night in Landover, Maryland ... standing up and showing some moves! The former Prez and First Lady were in a box at the FedExField, where the Redskins play. They weren't really noticed at first, but that didn't last long. Bey and Jay had some serious competition, because when the crowd saw the Obamas the cellphones came out in impressive numbers.